AcceleDent answers two questions often associated with orthodontic treatment: How long is treatment? And, will there be any discomfort associated with treatment? 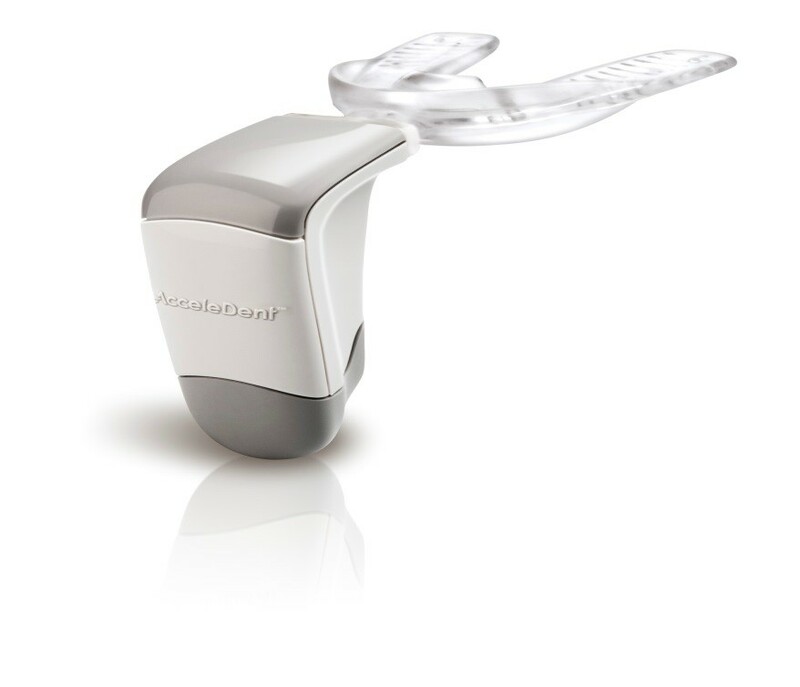 AcceleDent, Leader in Accelerated Orthodontics®, is an FDA-cleared, class II medical device clinically proven to move teeth up to 50% faster. Simple-to-use and hands-free, AcceleDent is clinically shown to reduce discomfort that may be associated with orthodontic treatment. AcceleDent is the fast, safe and gentle way to speed orthodontic treatment and is only used for 20 minutes daily at home during orthodontic treatment, along with your fixed braces or clear aligners. You want to improve the look of your smile? Does the thought of spending months, or even years, in braces sound like too much of a hassle? With the AcceleDent® System, you can now reduce the time of your orthodontic treatment by 38 to 50%! Using this pain-free, easy appliance, you’ll achieve your most perfect smile in no time at all. At Dr. Perih’s office in Dunmore, we help get patients setup using AcceleDent and can provide adjusted the adjusted timeline of your shortened orthodontic work. The benefits of AcceleDent through Dr. Joyce Perih Orthodontics will make you smile!